I took this photo last weekend during my inspiring trip to the Eden Project in Cornwall. 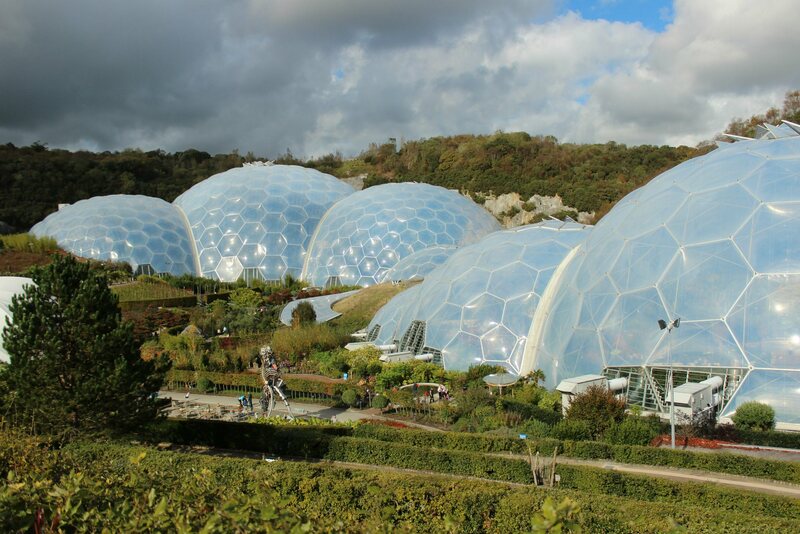 Located on the site of an old China Clay Quarry, the Eden Project looks a little like it’s the set of a 1960s sci-fi movie with great biomes full of plants from around the world. 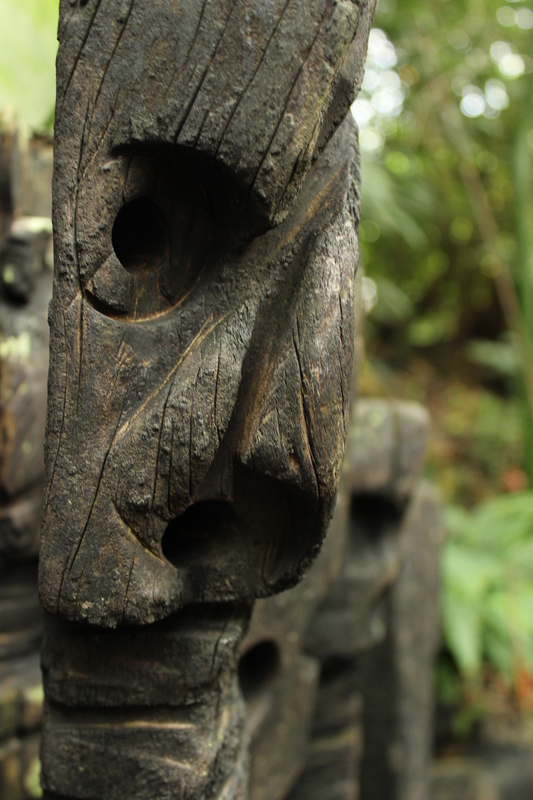 During the trip I came across these fascinating totems in the Tropical biome. They were created by El Anatsui, a Ghanaian sculptor from charred timber from Falmouth Docks that was destroyed by fire. They started their life as trees from South Africa, so it’s interesting that they should end their life back surrounded by tropical plants. 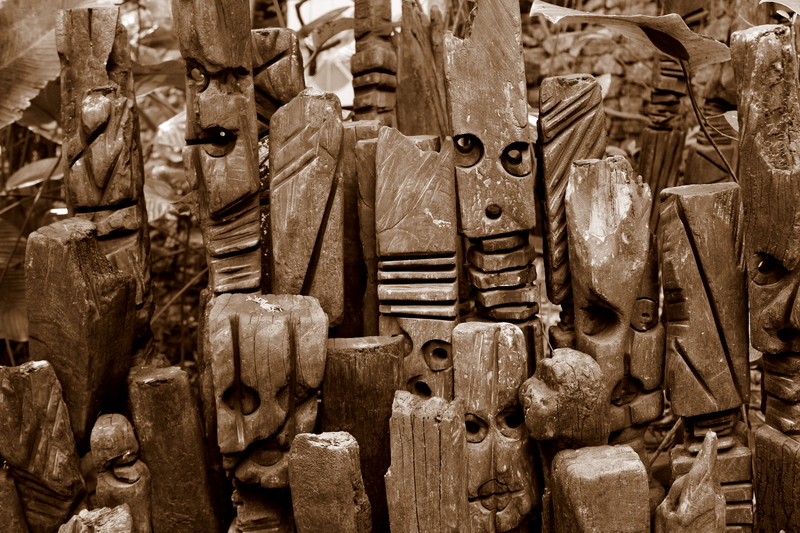 I particularly love the way each totem looked so different, and the way he has managed to give each one a personality. 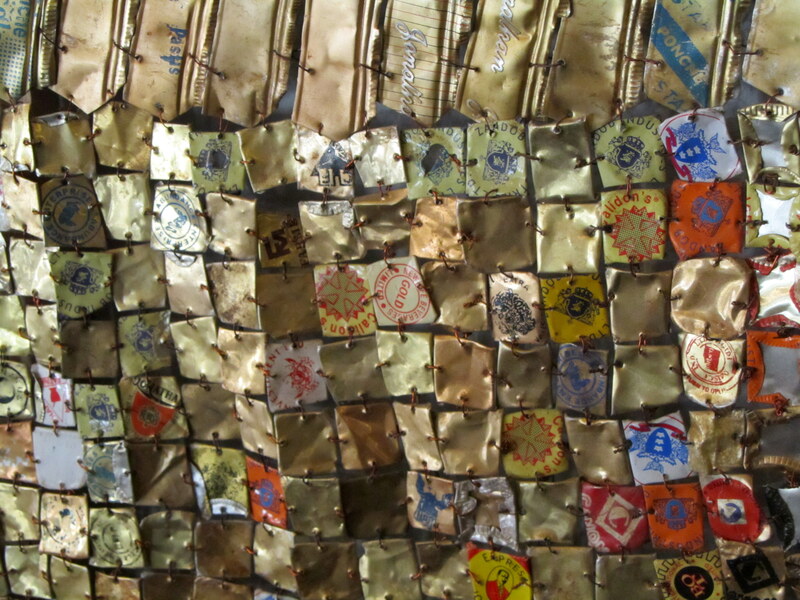 El Anatsui’s sculpture obviously speaks to me because after researching him I realised the photo used in my blog banner is another sculptures of his. This was taken of a large sculpture found in the foyer of the Shoe Museum in Street, Somerset; home to Clarks the shoe company’s entire collection of every shoe they’ve made. The Clarks family still own and run the company from Street, and the Quaker family are keen art lovers, with their offices decorated with a wide range of sculpture, paintings and collages. His sculptures are often made from bottle tops collected in West Africa. This shot shows the detail and work that must have gone into making such a massive sculpture; the one at the headquarters of C & J Clark Ltd., is at least 4m long and 3m high.